I can't believe that there is only 17 days until I'm 18 years old! Today's post will have lots of photos because I like to think that pictures tell more than a words. I wanted to show you my room ( because I love it so much!) and take you for a visit to my room, which was made just about 3 years ago because my family wanted to decorate the whole home. Carpet makes room much more comfortable and it unites little pieces together. My carpet is white & it is really soft. White carpet has good and bad sides that I think everyone knows. Good sides are that it is really beautiful, elegant and it really fits for almost any decoration but bad thing is that you have to be really careful that you don't pour anything on it for example juice. 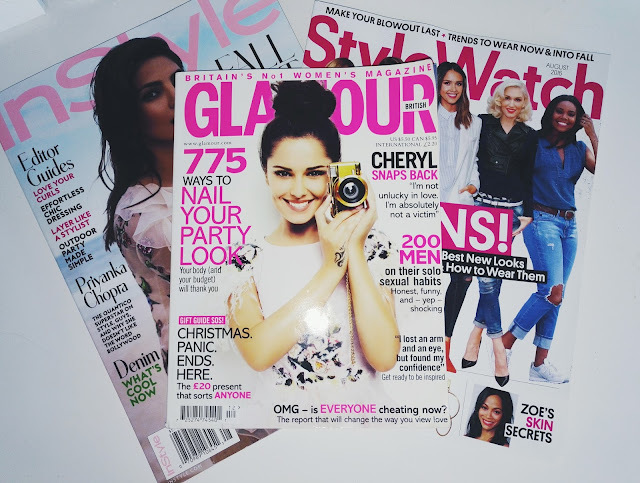 I love fashion magazines and I have them in my room so everyone can see them when they walk in and get to know the things that I like. One thing that I also like is to have black and white pictures of my loved ones like for example my godchild and best friends. 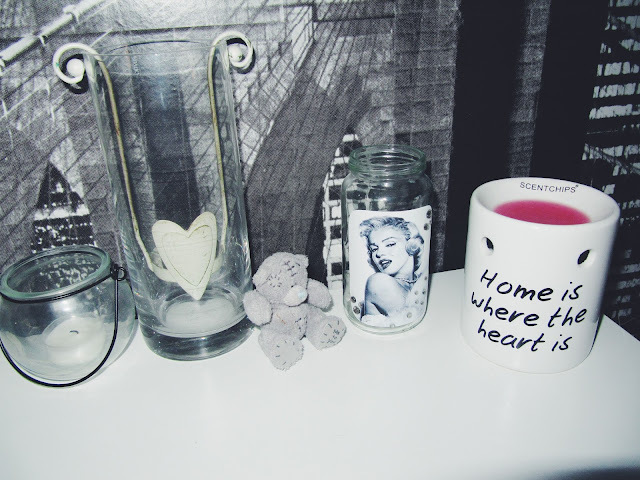 To add colour to my room I have fake pink flowers and vanilla scent to add lovely smell to my room. As you can see in these pictures, I love black and white decoration. There is no bright colours in my room because my former room was really messy and colourful so this is nice changing from that. If something doesn't fit to my room then I'm not happy. My room is not too small or too big for me, it's perfect for me to be honest. If you haven't noticed By now that I'm really am huge Marilyn Monroe fan. 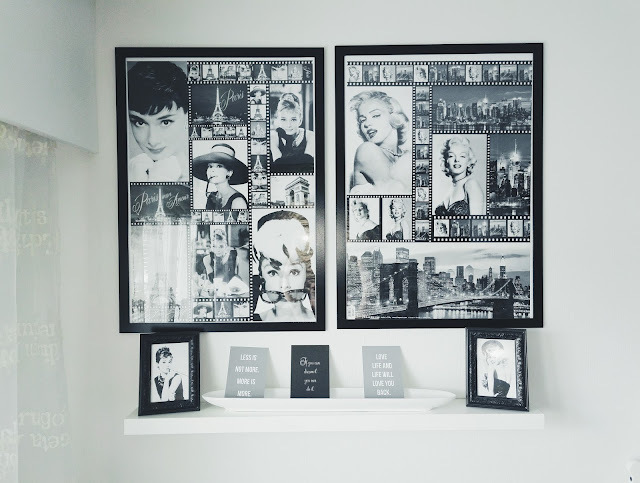 I just love black and white pictures, quotes and Marilyn Monroe because those are so stylish. I have at least 7 pictures in my room about Marilyn Monroe & I also made a pillow in school where was her picture. This is my favorite part of my room because it is so unique and different. My room walls are white except one if you haven't noticed. 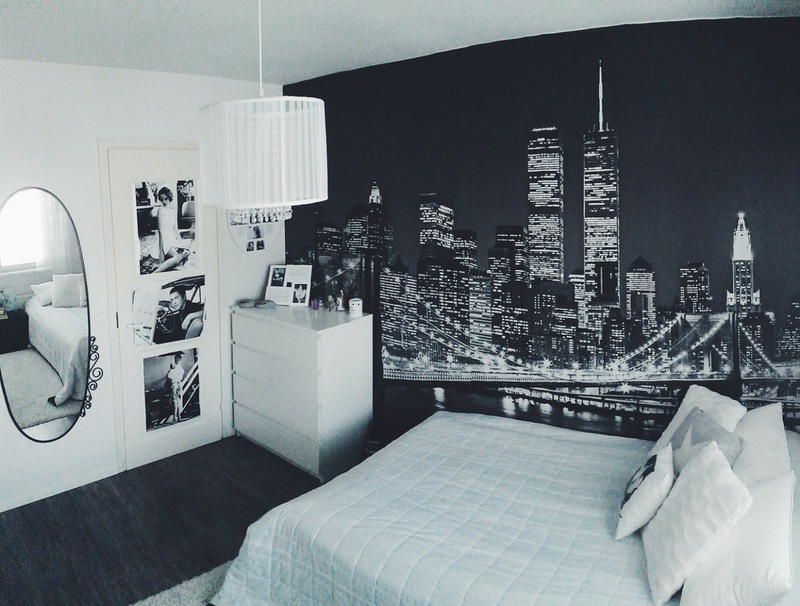 It has a black and white picture of New York, which is my favorite city in the whole world. 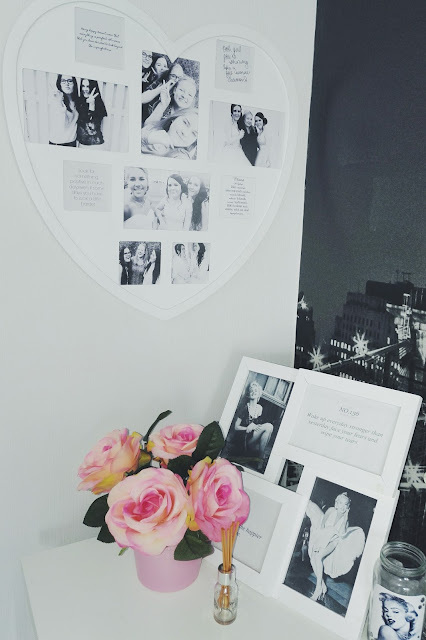 I just love it so much because it brings my room something unique and everytime when someone or even I walk in to my room, I notice it first. I love to have lot of pillows at the top of my bed because they bring something beautiful and interesting details to my room. I have also made one pillow by myself which was Marilyn Monroe pillow because I'm literally obsessed with her. 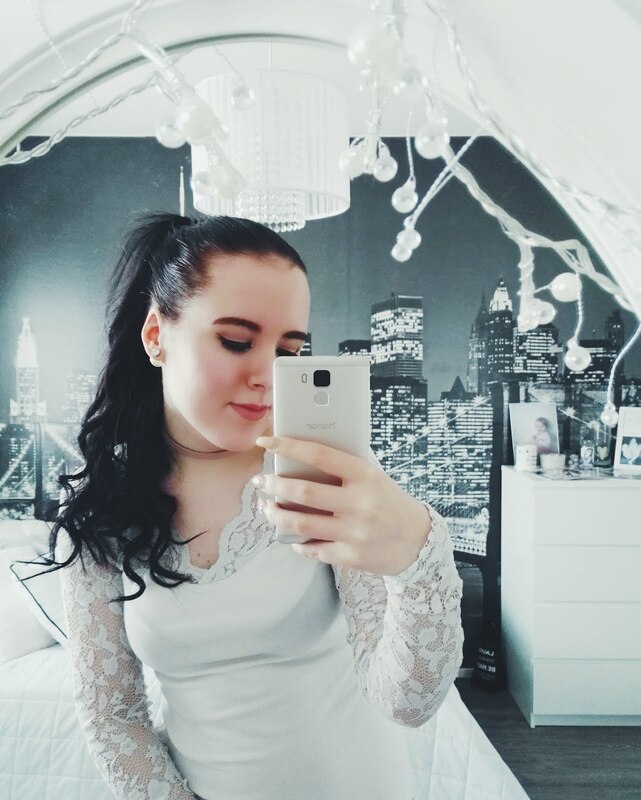 My curtains are white transparent fabric, which I love. My floor is brown grey, so it really fits my room very well because I'm really strict about decorating my room. My table is white and it has storage space for my make up products, my diary etc. I also own lot of jewellerys so that's why I have own place for those. 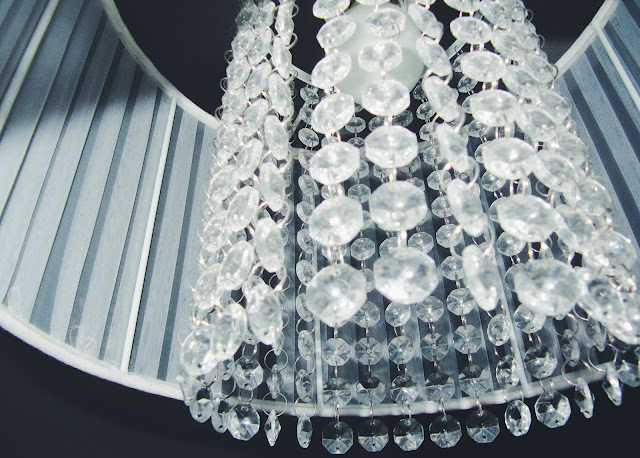 I hope you liked this post and what was the thing in my room that you liked the most? Tulin nyt kommentoimaan suomeksi, mutta TOI TAPETTI <3 Mä rakastan kaikkia kaupunkiteemaisia sisustusjuttuja.